The power chair control Panel Kover, has been designed for use with either right or left-hand controls. It is easily affixed to the chair thanks to the zipped bottom. 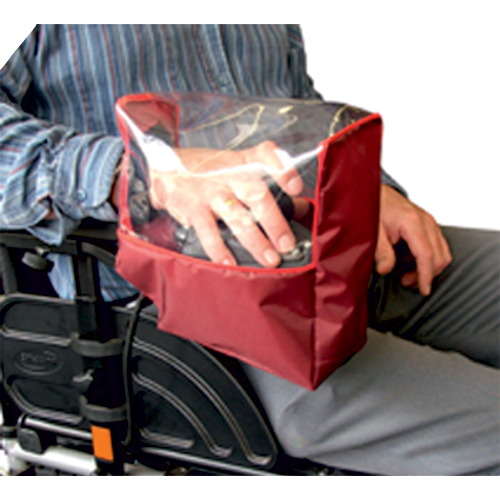 The Power chair Control Panel Kover, has been designed for use with either right or left hand controls. It is easily affixed to the chair thanks to the zipped bottom. The soft cuff and clearview panel ensures that all your controls can be accurately and comfortably accessed. If you have one of the `pod` type control panels, then you need one of these. It is available in a choice of Royal Blue, Grey or Maroon.